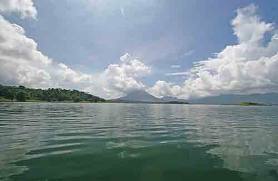 If you want to read up on kitesurfing in Lake Arenal just follow the link. There are other places to kitesurf in Costa Rica as well, but Arenal continues to be in the top two thanks to it’s stunning views, strong winds, and easy access. Interested in windsurf? We’ve got you covered. Read up on windsurfing in Lake Arenal and get ready for your next adventure.